Coating thickness handheld gauge FMP10 & 20 is USB interface with automatic base material and probe identification that is used for magnetic induction and eddy current probes. Coating thickness handheld gauge FMP10 & 20 has retention power for holding up to 1000 readings. Coating thickness handheld gauge FMP10 & 20 ensures perceptible signal with measurement appropriation. It is programmed using modern technology for performing easy corrective calibration. Our coating thickness handheld gauge FMP10 & 20 easily adapt to the design of the specimen through a zero-point correction. Furthermore, it can be used for unit switching between micrometer and mils for measurements. Hand- held instruments: FMP30 & 40 have USB interface with additional Bluetooth option for better operations. Our hand-held instruments: FMP30 & 40 have integrated memory space for storing 20,000 readings. These have ability to authorize matrix measurement form for corresponding multi-point measurement. 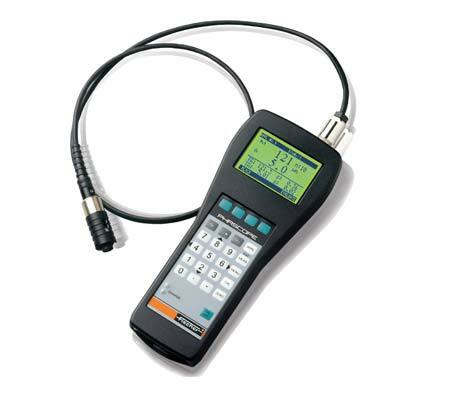 Hand-held instruments: FMP30 & 40 automatically eliminates the measurements containing error. Our hand-held instruments: FMP30 & 40 have special measuring modes in accordance with measuring regulations IMO PSPC, SSPC-PA2, QUALANOD and QUALICOAT. Hand-held instruments: FMP100 & 150 are pre-installed with windows CE operating system and has a graphical user interface. Our Hand-held instruments: FMP100 & 150 have superior-quality touch screen with implicit keypad that can be controlled by using stylus or any finger. Hand-held instruments: FMP100 & 150 have sufficient memory for working with plethora of measuring applications with different calibration. Hand-held instruments: FMP100 & 150 have optional FISCHER data center IP that has turned this device into multi-operating data terminal. Handheld gauge phascope PMP10 is a specially developed device to measure the thickness of the layers of paint and zinc and the resulting output is displayed distinctively on the screen. 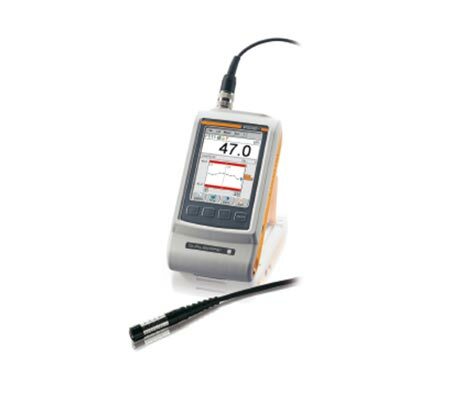 Our handheld gauge phascope PMP10 is capable of performing analysis functions developed for quality control. Handheld gauge phascope PMP10 has memory storage for up to 20,000 readings with précised measurements. 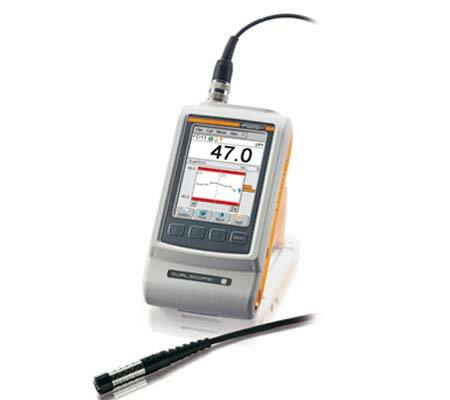 Handheld gauge phascope PMP10 conveys data via RS232 interface ensuring better performance. It works on the principle of magnetic induction, eddy current and it is an effective tool for measuring coating thickness.